Contributions can be made at www.giveemhelen.com/donate or will also be accepted at the door. Join Helen at the fifth annual Plymouth Republican Unity Breakfast as we come together to support our Republican candidates in Plymouth County. Join Helen's friends and family and support her campaign at the Plymouth Yacht Club. 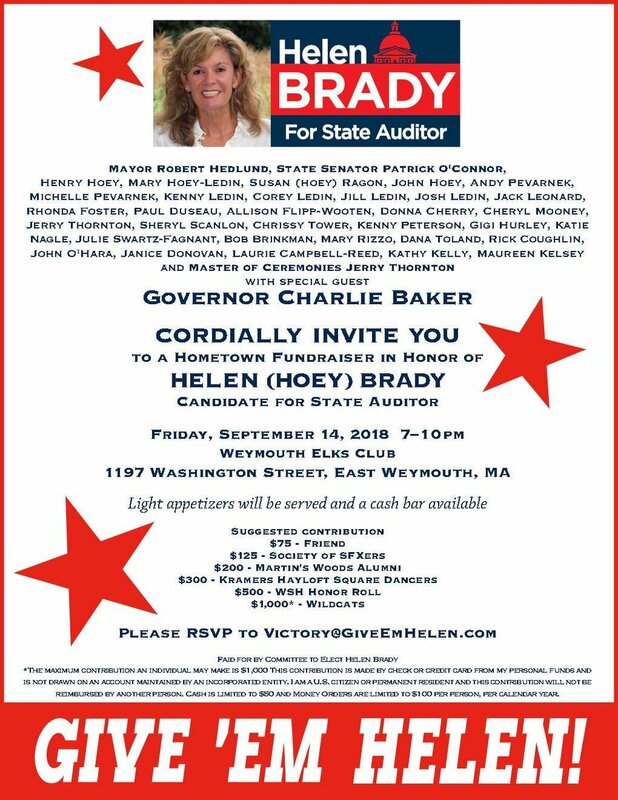 Please join us for a conversation with Helen and learn more about her campaign!